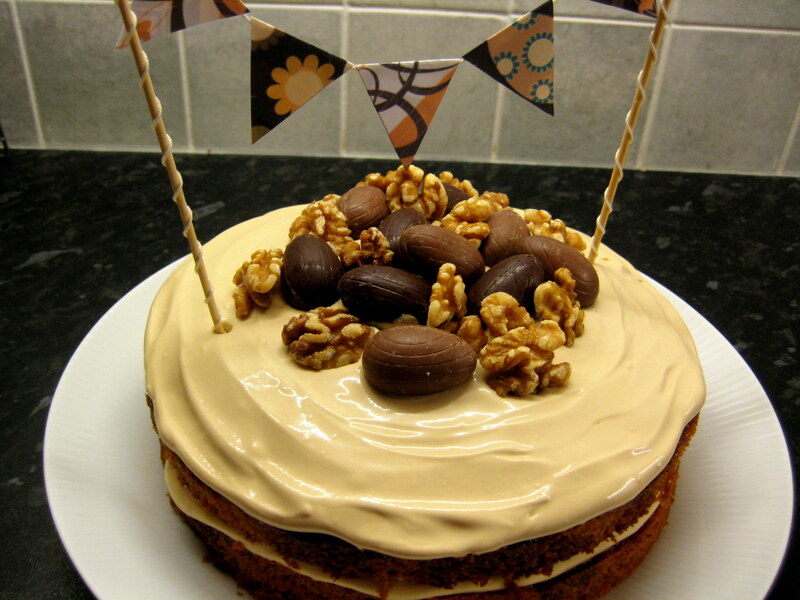 I love this coffee and walnut cake. It’s a Delia Smith recipe, and I’ve made it many times as it always turns out gorgeous! If you can’t eat nuts, try substituting milk choc chips. This year I have decided to make this cake for Easter and decorate it accordingly. I don’t often go in for cake decorating, mostly because I haven’t got that much of a sweet tooth, so icing doesn’t really appeal to me. 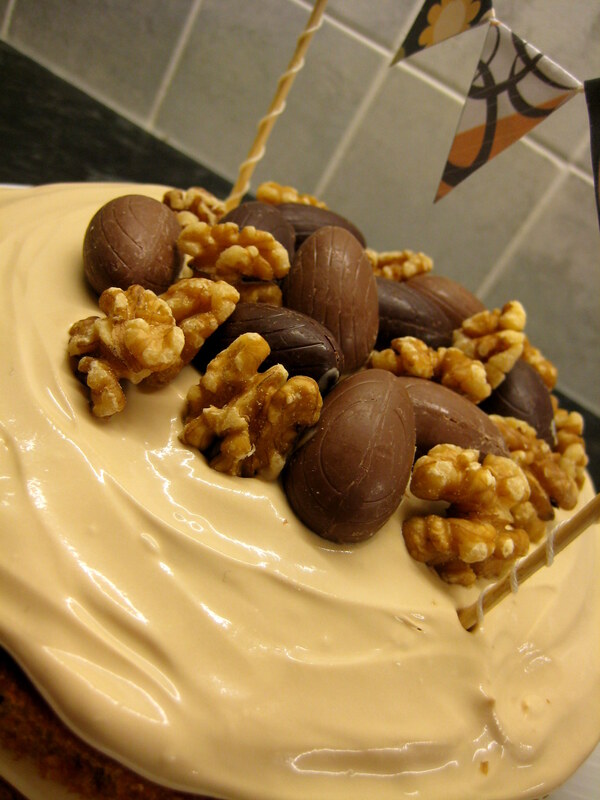 However, Easter is a special occasion and the topping for this cake is coffee flavoured and contains crème fraiche, so it isn’t too sweet and is massively moreish (I struggled to resist eating it before icing the cake). 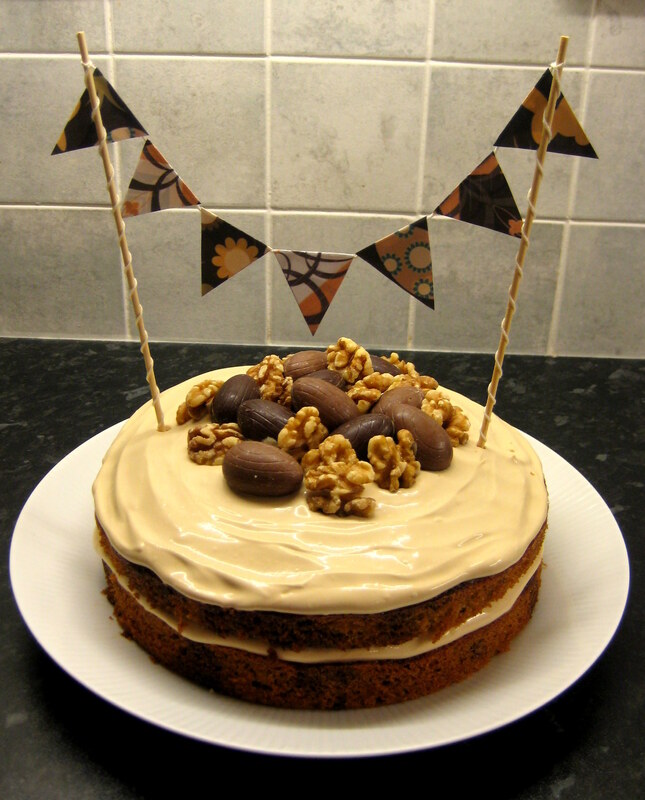 The walnut halves are part of the recipe, but I have added a combination of milk and dark chocolate eggs, and a bunting banner. If your skewers are too long, break using your hands and then trim any splintery bits with scissors. Sand using sandpaper (or a nail file if you don’t do DIY!) and then clean to make sure there is no dust or splinters getting into your cake. 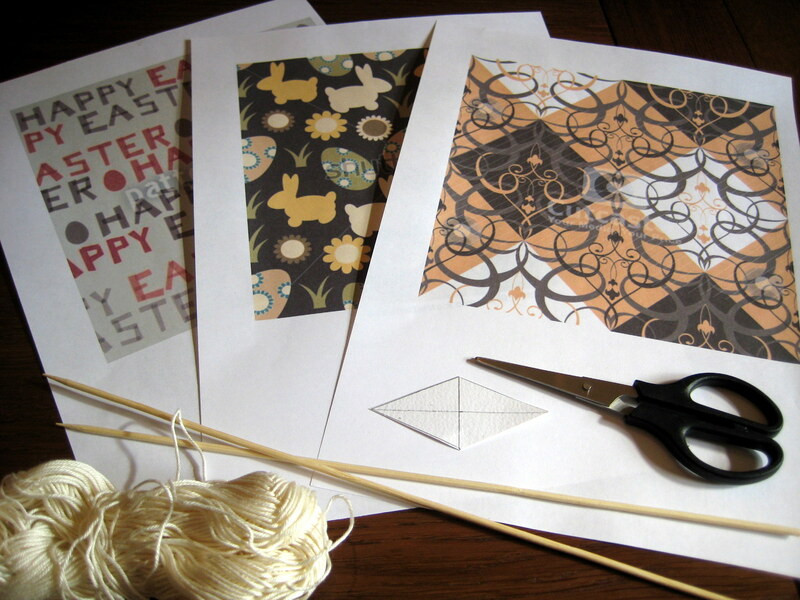 Make a diamond template and use it to draw outlines on your printed paper using a pencil. Cut out your paper and erase any pencil marks. 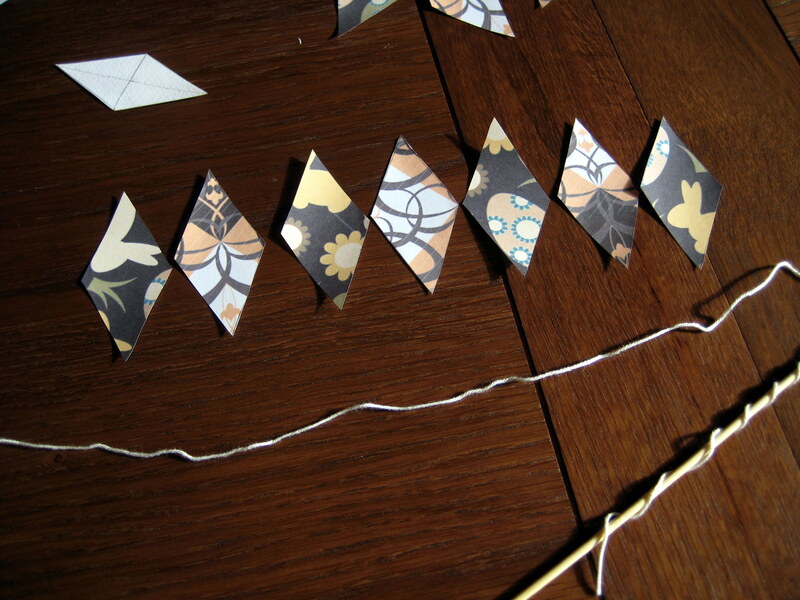 Fold in half to make triangles, and trim the edges if they don’t quite match. 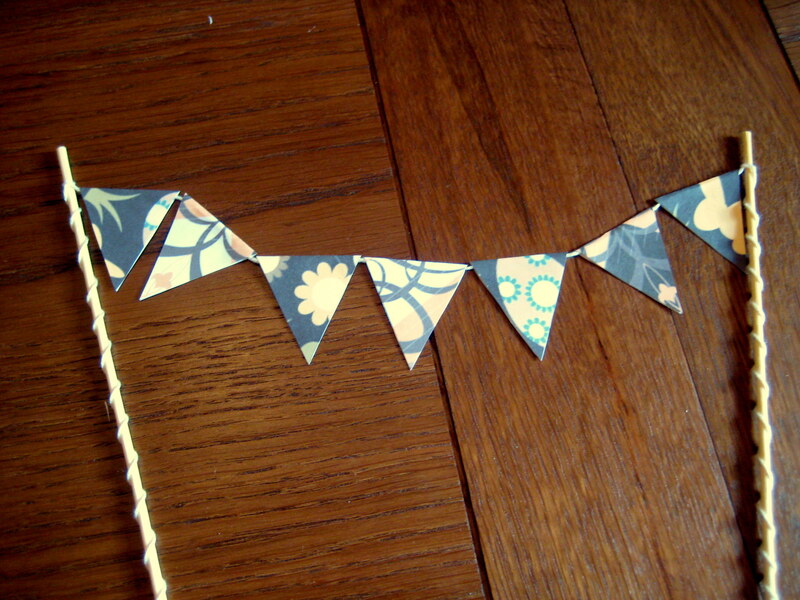 Once you have arranged the order of your bunting pieces, glue the paper and stick both sides together over the string (make sure there is enough to tie over both posts). Tie the string to the skewers. I used a little glue on the string to hold it in place – you don’t need much! You can trim the ends or wrap them around the skewers as I did and glue them at the bottom to secure. Ready to put on the cake! Now all you need to do is arrange your walnuts and eggs on the cake, and push the skewers into the cake to hang your bunting. 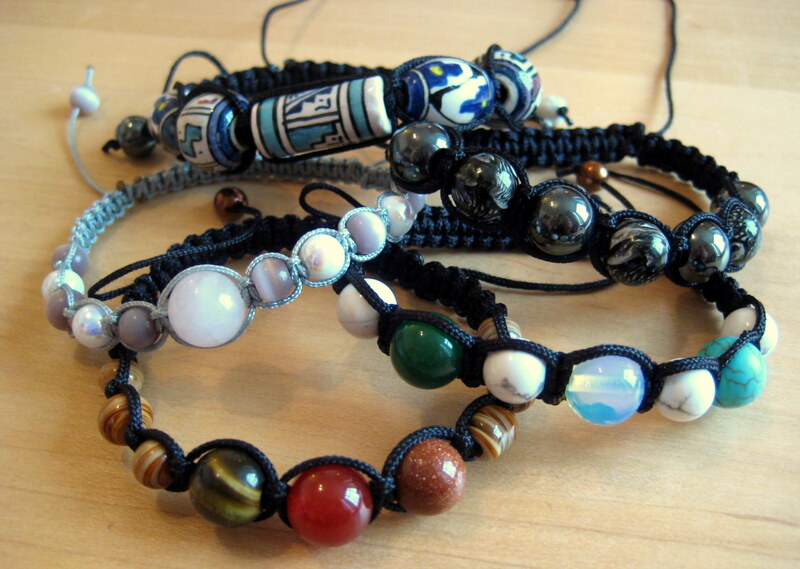 Don’t forget, there is still time to enter my giveaway to win a great bracelet made by yours truly! Click this link for more info.